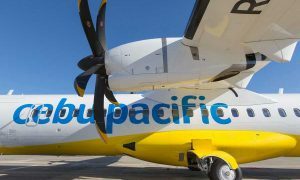 Cebu Pacific pushes forward with the expansion of its Cebu hub as well its capacity increase into the Macau Special Administrative Region (SAR) with the launch of a new route linking Cebu and Macau—providing another access point to and from China’s Pearl River Delta. Starting December 7, 2018, CEB will operate direct flights between Cebu and Macau every Mondays, Wednesdays, Fridays, and Sundays. The flight leaves Cebu at 6:35PM, and arrives in Macau at 9:45PM; while its return flight leaves Macau at 10:25PM, and arrives in Cebu at 01:25AM the next day. Cebu Pacific holds 50% of the total number of seats between the Philippines and Macau SAR. It is the only carrier that flies to Macau from three key Philippine gateways—Clark, Manila, and Cebu. Base fare for the direct Macau-Cebu flights start as low as PHP2,388 or PHP3,151 all-in. “Cebu Pacific is very proud to launch a direct Cebu-Macau flight as we expand our Cebu network to cater to a growing number of leisure travelers. We are committed to expanding our air services out of Cebu, providing Cebuanos and residents of neighboring provinces in the Visayas with more travel options,” said Alexander Lao, President and CEO of Cebgo, the inter-island subsidiary of Cebu Pacific. A former Portuguese colony, Macau is a vibrant mix of historical landmarks, world-class entertainment and attractions such as the Macau Tower and the Grand Lisboa hotel. Officially designated a Creative City of Gastronomy by UNESCO, Macau is one of Asia’s leading culinary destinations and home to the world’s first fusion food: Macanese cuisine. It is also one of the richest places in the world and the only region in China where casinos are legal, turning it into a go-to destination for high-rollers with a wide array of extravagant casinos. Philippine passport holders can apply for Visa on Arrival should they wish to visit nearby China cities such as Zhuhai and Shenzhen. “As a free port, Macau serves as a gateway to China’s Pearl River Delta Metropolitan Region, one of the key global trading and industrial centers. A direct Cebu-Macau route will provide a logistics support to further stimulate two-way trade and investments. With the opening of the Hong Kong- Zhuhai-Macau Bridge, Macau is a perfect access point for business and leisure travelers alike,” Lao added. Cebu, the carrier’s largest hub in the Visayas, also serves as its “beach hub,” with 22 direct connections to the best beach islands such as Boracay, Bohol and Palawan. Cebu Pacific, together with subsidiary Cebgo, flies to a total of 27 domestic and five international destinations direct from its hub in Cebu. 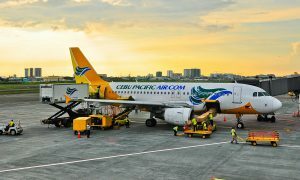 Aside from Cebu, CEB also operates flights out of six other strategically placed hubs in the Philippines: Manila, Clark, Kalibo, Iloilo, Davao and Cagayan de Oro. The airline’s extensive network covers over 100 routes across 26 international and 37 domestic destinations, spanning Asia, Australia, the Middle East, and USA.